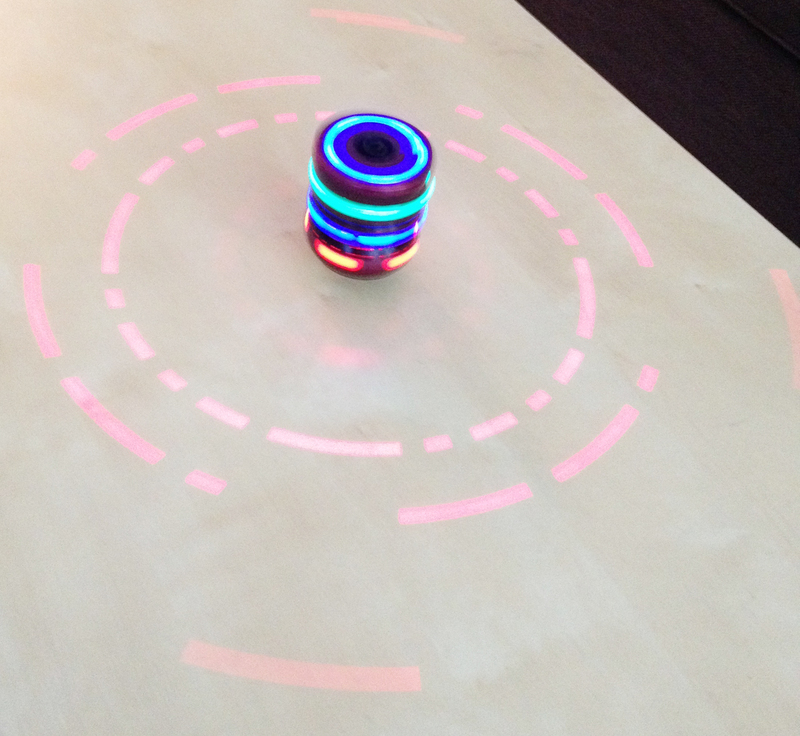 Object Ode: The Laser Top | spifftacular. It was a gift from Grandma Reid, mostly as a joke. It’s called a Laser Top. Made in China—in Shantou, to be exact, by the Xin Quiang Sheng Plastic Toys Factory. Several months later, and I have definitely not thrown it away. You wind it up, drop it on the table, and it spins. It plays techno-esque music with a synthesized”bang bang” and “honk honk” thrown in for good measure. It flashes red, green, and blue lights. And it fascinates Little Lars. I think he’s fascinated by it because he’s afraid of it. As soon as I set it spinning, he starts to reach for it. As he does, he makes the funniest face. I’ve tried to capture it on camera but have only produced blurry shots. It’s the face that says, I know that once I touch this, it will freak me out, so I’m just going to make my jarred-reaction expression in anticipation. Eyes closed (as if to protect himself), nose slightly scrunched, mouth open, and a little shiver, not unlike when he bites into something cold or sour. Then, when the spinning is done, he grabs the handle that’s used to wind it up, and examines it intently: Oh, mighty Laser Top! How do I gain your spinning and flashing powers?! his baby mind wonders. Potential fear aside, I think he does enjoy it. He lights up (ha, ha) whenever I pull it out. Though that could be because I madly, eagerly grin at him as I pull it out of the toy box–“Ooh! Look, Lars, at the spinning top! Look at the liiights! !” I mean, who doesn’t love a combo of frenetic music, motion, and lights? I’m grateful for it because it’s the sort of thing I can pull out when we’ve exhausted all of our living-room entertainment possibilities. It flashes, it pulses, and for a few minutes, it captures his attention. And for that I say, thank you, Laser Top.